If you’re making the trip to CMA Fest this year, a must see is Ty Hendron’s Concert For Love & Acceptance at the Wildhorse Saloon. 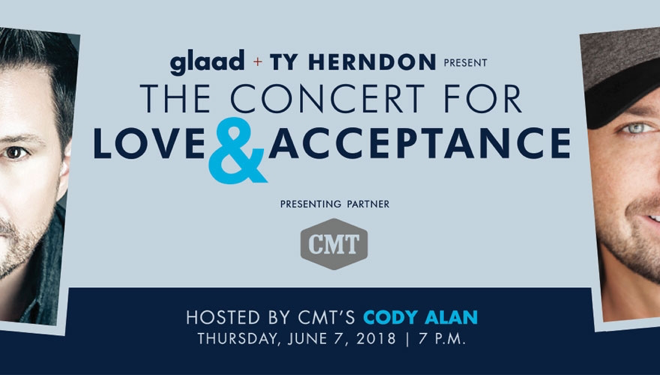 June 7th at 7 P.M. is when country music shows their love for GLAAD and CMT’s Cody Alan and Ty Hendron’s wonderful event. 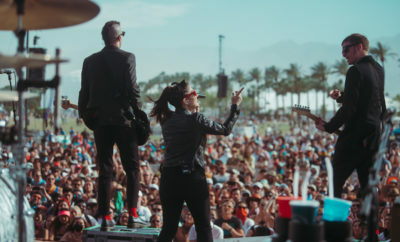 Performers include: Terri Clark, Cassadee Pope, Michael Ray, Calum Scott, Brandon Stansell, Shelly Fairchild, CAM, Anita Cochran, Billy Dean, Cale Dodds, Temecula Road, Thompson Square, Tanya Tucker and Parson James. Tickets available through the Wildhorse Saloon’s box office, GLAAD, and Ticketmaster outlets. 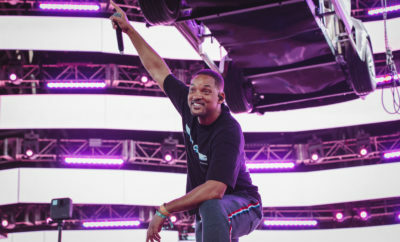 Tickets range from 30 to 100 and VIP packages are available. Next Story → Riot Fest Debut 2018 Lineup!